The Champagne region is in northern France (see location map below) so it’s pretty easy and straightforward to get to using the Eurotunnel or ferry. 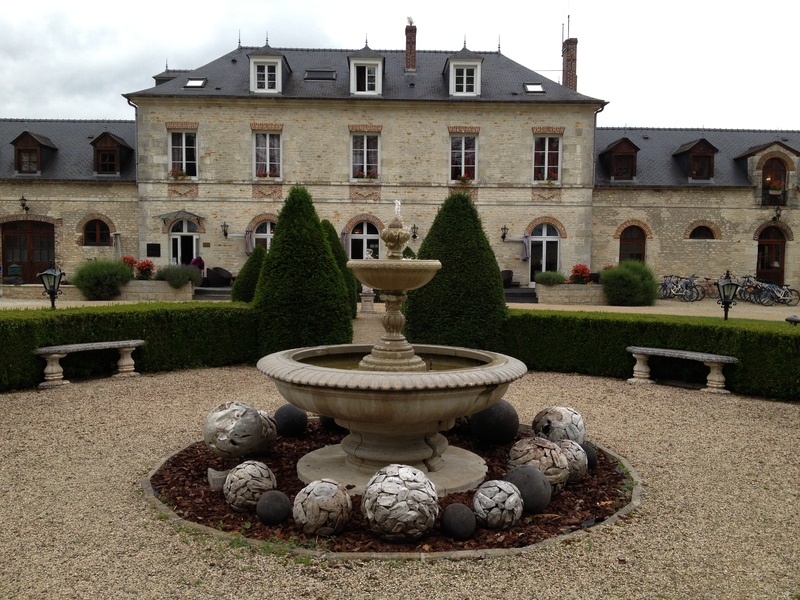 The Château, located in the upper area of Champagne, will have a welcome cocktail awaiting you so you can park your car up and forget about it for the weekend. The bedrooms at the Château are all really lovely and individually designed with quality finishes and features like beams; whirlpools; TV; DVD player; safe; minibar; Wi-Fi; Egyptian linen sheets, personalised bathrobes, slippers and welcome products; and it goes on! You have the day to yourself so perhaps you’d like to relax in the spa; have some beauty treatments, swim or a work out in the gym; walk around the grounds (there’s plenty to see); go cycling or mountain biking; or simply have a drink in the lounge. In the evening we’ll have dinner together where you can make new friends whilst enjoying food that looks and tastes amazing (more generous than most ‘haute cuisine’!!) as well as indulge in the fabulous and extensive wine list? On Saturday after a typically French breakfast including delicious cheeses, meats, fruit, yoghurts, homemade croissants, chocolat au pains and breads, you will be whisked away to Epernay for a tour around one of the oldest and most prestigious Champagne Houses visiting their chalky cellars deep below the surface. 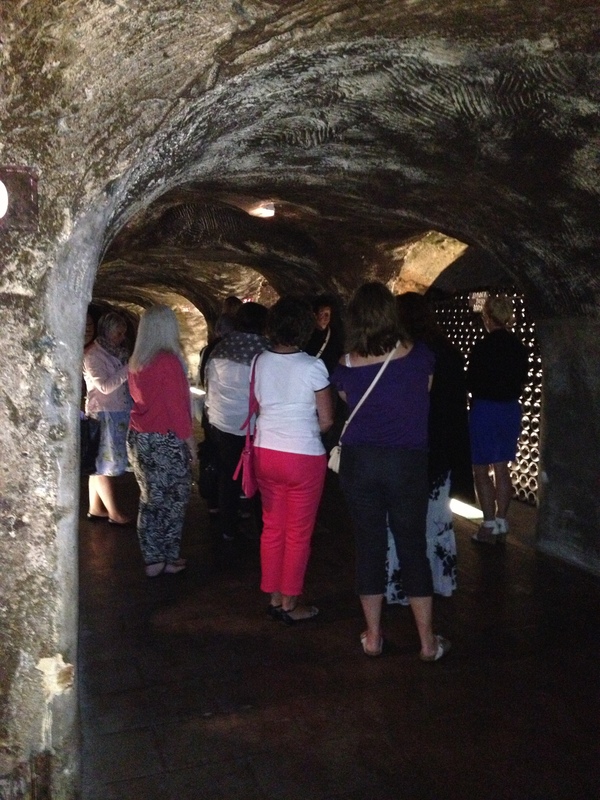 The underground cellars that stretch along the Avenue are claimed to be one of the most expensive in the world. You’ll enjoy a post-tour flute of Champagne before having a browse around their Boutique where you maybe tempted to purchase a few treats and momentos! Lunch will be an informal picnic in a stunning park (weather permitting). Then we’ll be off to Reims to have a look around the caves of another infamous and impressive Champagne House. Post guided tour, you will step into their impressive contemporary and recently renovated trendy boutique for another spot of retail therapy if the mood takes you whilst sipping a delicious flute of very OLD Champagne before returning to the Château. A bit of time to relax before our Grande Finale dinner. where you will indulge in some more good company, good food and fine wine to bring the day to a close. Suggest the calorie counting starts on the 26th June! A lie in perhaps or maybe a swim before a leisurely breakfast? For those hangover free, we’re having a 2 hour sightseeing trip around Laon, a fortified medieval town built on a hill and surrounded by ramparts, which was the former capital of France!! You’ll be brought back to the Chateau before departing for home. Cost? From £475 per person based on 2 people sharing and includes 2 nights in a luxurious Château with spa, breakfast, evening meals, private transfers from the Château to the Champagne Houses, Champagne House Tours including flutes of Champagne at each house, and the picnic on Saturday. If you would prefer a single room occupancy, there is a single person supplement £125.00. Interested? Places are limited so if you’d like to join us, we just need a £90.00 per person non-refundable deposit to secure a place. Please note that the minimum age of 18 applies to this event/tour. Interested just let us know. Want to book? The number of places are limited. To secure your place a £90.00 non-refundable deposit is required. The full tour cost, less any deposit paid, must be paid no later than 14.4.17 (10 weeks before the trip).